Funeral arrangements for former Gallatin County basketball coach Bob Dallas have been set. Dallas died Wednesday at the age of 90. Visitation will be from 9 a.m. to noon, with a service to follow at Noon at St. Kateri Church in Ridgway on Saturday, December 15th. Cox and Son Funeral Home in Ridgway is in charge of arrangements. 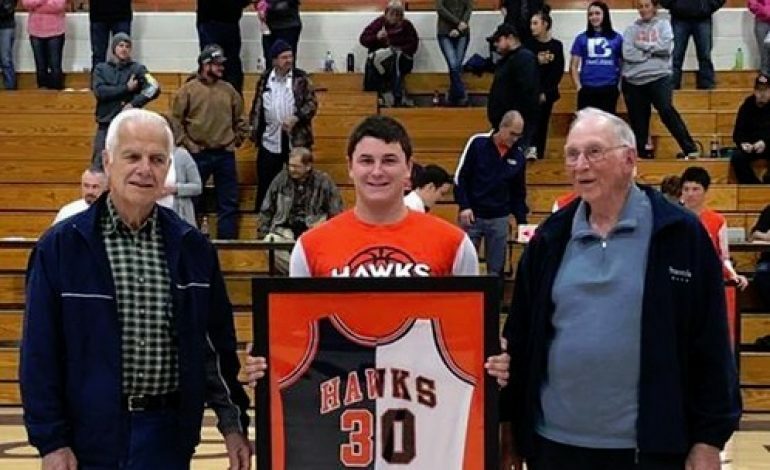 Southeastern Illinois high school basketball mourns the loss of a legend. Former Ridgway and Gallatin County coach Bob Dallas died Tuesday morning at the age of 90. Tuesday, he was honored by the high school along with other coaches who recently passed away in Robert “Radar” Patton and Teresa Nussbaum. Dallas amassed went 782-420 in his 46 years with the program, which makes him the sixth winningest coach in Illinois. He began coaching Ridgway High School in 1956, eventually leading them to a Class A state championship in 1973. Dallas stayed the school’s coach after it consolidated in 1987 and retired in 2001. His funeral arrangements are pending at this time.